A Lip Augmentation is a cosmetic surgery procedure that is designed to reshape the upper lip to lend a more pleasing shape to the mouth by eliminated upper lip elongation. While a lip lift does not directly give more volume to the lips, it will create a shape that is associated with an attractive mouth. Because of this, a lip lift is a good option for those who already have full lips and just want to improve their shape. 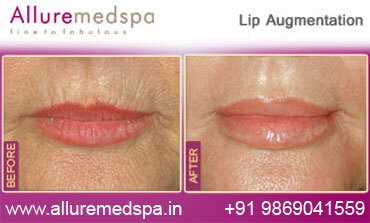 The lips can be divided into several different areas that can be addressed with surgical and non-surgical procedures. 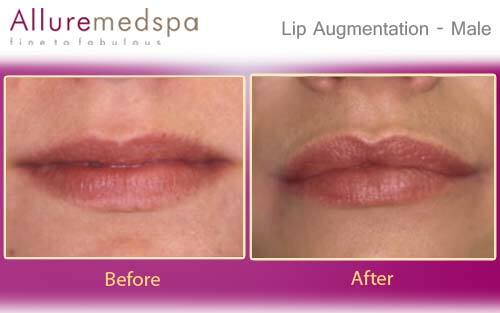 Lip Augmentation is a broad term used to describe any procedure that is performed to alter the size, symmetry, and shape of your lips. A corner lip lift will address the corner of the mouth, otherwise known as the commissure. A corner lip lift will elevate this part of the mouth when it has begun to droop. 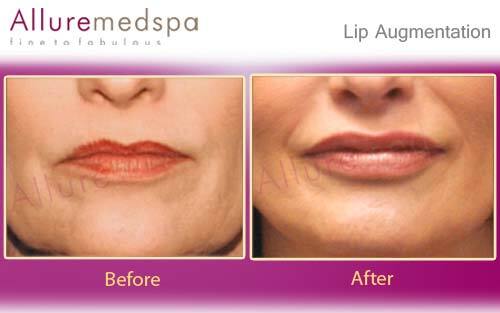 An upper lip lift serves to raise the vermillion, or upper border, of the upper lip. This is done with an incision directly on the border or right underneath the nose. The subnasal lip lift, places the incision at the base of the nose. The procedure is easily performed in the center with numbing injections. An tiny incision is made at the base of the nose at the junction of the nose and lip. The skin and soft tissue are excised. A few deep stitches are placed to lift the lip upward and the skin and soft tissue are then meticulously closed in multiple layers to minimize the appearance of the scar. The fine stitches placed in the skin are removed around five days after the procedure. The scar is well hidden, and after the healing is complete can be difficult to detect. Lip augmentation with fat transfer augments the volume of the lips through the careful injection of fat that has been harvested from a donor site on the patient’s own body (i.e. abdomen, thighs, or buttocks). Because the injections are composed of the patient’s own tissue, the risk of rejection is negligible and the chances of successful, permanent integration are very high. Another benefit of this technique is that it is highly customizable, which allows the practitioner to select the precise amount of fat to inject in order to achieve the patient’s aesthetic goals. For patients who desire fuller lips or reduction of lip lines with a more youthful contour, permanent lip implantation is a great alternative to injectable fillers. Implants are often ideal for patients who have tried filler injections and are now seeking a more permanent solution. The implant is placed along the wet-dry border of the lips to give a very natural volume enhancement without a “duck lips” appearance. The lip Implant is normally a soft, flexible, solid silicone implant that is tapered at both ends to nicely match the natural shape of your lip. The implants comes in several sizes to allow a customized augmentation of your lips. While the lip implant provides permanent augmentation of the lips, the implant can easily be removed or exchanged for a different size if desired. The key to a beautiful lip enhancement procedure is to maintain appropriate contour and balance between the upper and lower lips and with the rest of the facial features. The lips are a very delicate area of the face, and in order to ensure optimal results while avoiding common complications such as lip asymmetry or over-filling the lips (“duck lips”), any alterations to the lips require the experience and skillset of a talented cosmetic surgeon. Equipped with unparalleled knowledge of the underlying structures of the face and vast experience in dealing with delicate facial nerve, the expertise of Dr. Milan Doshi makes Allure MedSpa one of the most favored destinations of patients seeking Face Lift from all over the world. MAC (monitored anaesthesia care) or local anaesthesia may be used for lip enhancement. 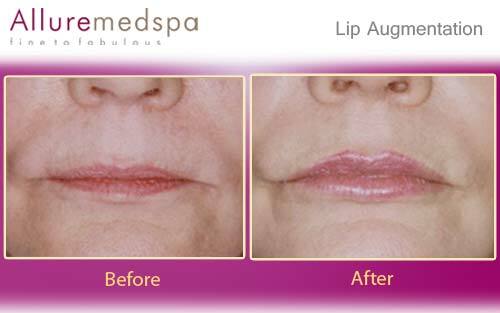 The downtime from a surgical Lip Lift procedure is around one week. The scar will continue to improve over the next few weeks. Some patients may have some numbness in the area that typically resolves in a month after the procedure. Allure MedSpa which is renowned for its state-of-the-art internationally acclaimed services, offers affordable and cost effective cosmetic procedures. To know more about the cost of your procedure request a consult by filling the form below. Your consultation is your chance to ask questions about Lip Augmentation and put your mind at rest. Your surgeon will be able to offer you full explanations and answers to all of your queries. Alternatively, our Counsellor will call you at your convenient time. Request a consultation right away: Book an appointment. If you are healthy and are looking to improve the appearance of your lips or a long upper lip, then lip enhancement may be right for you. Patients who have tried filler injections and would like a more permanent solution may be good candidates for implants. At Allure MedSpa, we don’t simply provide surgical solutions; we recognize your needs extend beyond the surgical procedure itself. Our dedicated post-surgical section is designed with your comfort and care in mind. Our entire staff from the expert team of anesthesiologists to nurses, will ensure you are treated with utmost care and warmth. Adhering to the doctor’s instructions during recovery period is a must. Your current health history as well as your medications and drug allergies will be reviewed. Routine laboratory testing is ordered. It is important to be sun-smart (using UVA and UVB sun protection) prior to any Face Lift procedure. Stop smoking for at least two weeks before and one week after surgery, as nicotine can impair circulation and healing. Avoid alcohol in excess for two weeks before and one week after the surgery. Your surgeon will give you specific instructions to prepare for the procedure. You should arrange for someone to drive you home after your surgery, and to help you out for a day or two. You should plan to take one week off of work, so swelling and bruising can resolve. For patients who work in sedentary jobs, two weeks should be enough time to look presentable at work. 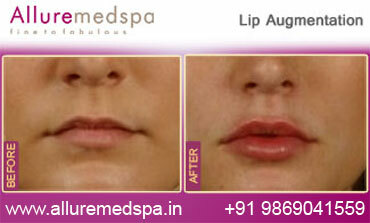 Lip Augmentation has long lasting results. 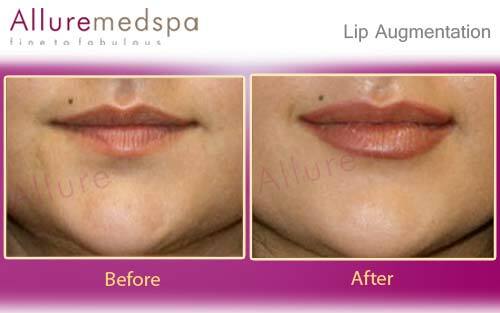 At Allure MedSpa, our support doesn’t end when you achieve your cosmetic and health goals. Lifelong follow-up with our multidisciplinary team is encouraged, helping you to achieve and maintain optimal results. For more information on hair transplant surgery and our extensive aftercare program or to Book an appointment, call Allure MedSpa at: +91 9869041559.